ENTREDOS BALLET ESPAÑOL is born as result of the excitament and passion of its three promoters: Elena Algado and Miguel Ángel Corbacho ( former Principal Dancers of the National Ballet of Spain for over eight years) and Fernando Valero. A project that from the beginning seeks to add the individual, artistic and professional experiences of all members of the company (dancers, musicians, technicians and direction) sharing a common vision on how things must be done, the importance of working and effort, the quality and, above all , the respect for the audience. 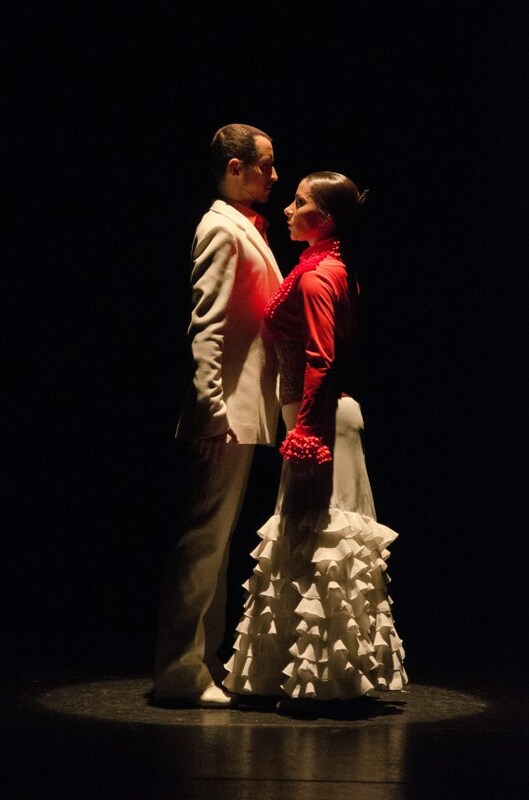 ENTREDOS BALLET ESPAÑOL premiered its first production in November 2012. 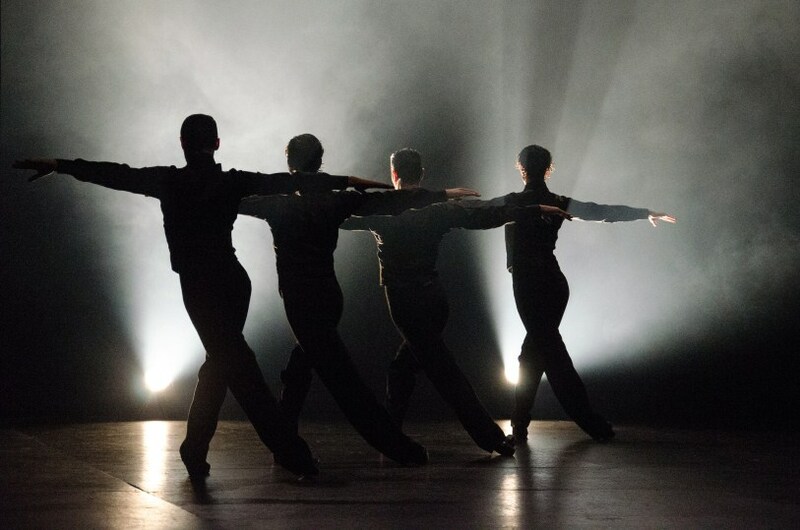 In April 2013 premiered " AL-ALMA" at the International Stars Ballet Gala that climax the prestigious Dance Open Festival in St. Petersburg , where ENTREDOS BALLET ESPAÑOL was invited as guest company , sharing the stage with some of the stars of the most important ballets (New York City Ballet, Bolshoi Theatre of Russia, English National Ballet and Boston Ballet, among others) . In 2014, their directors Elena Algado and Miguel Ángel Corbacho were invited once more to participate in the International Stars Ballet Gala of the XIII Dance Open in April. They were also asked to create and premier 3 new choreographys together with Elina Garanca (considered as today’s best mezzo-soprano) and Ildar Abdrazamov (the worldwide known russian liryc bass) at the Opera and Ballet Gala of the 311th foundation Anniversary of the city of Saint – Petersburg (Russia). 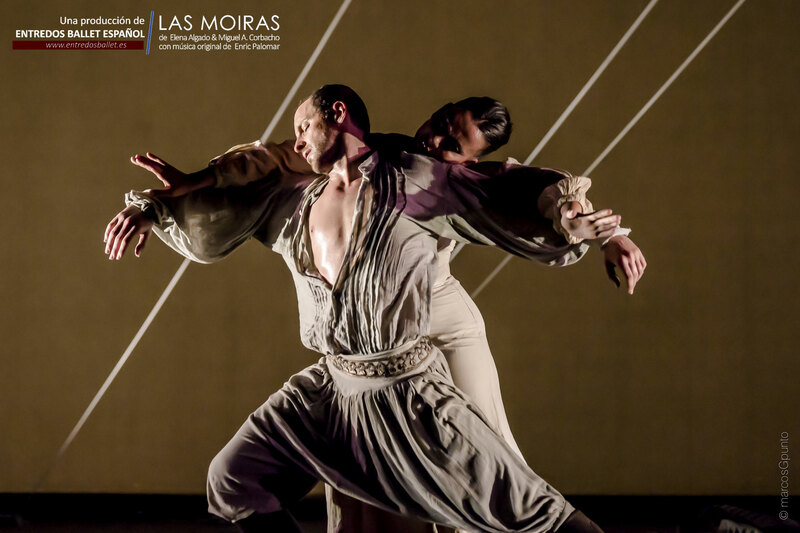 In 2015 premiere at the Teatro Romano Baelo-Claudia "LAS MOIRAS" (The Fates) an one act spanish dance and flamenco ballet based on the eponymous myth, with original music for orchestra and ensemble flamenco composed by Enric Palomar. ENTREDOS BALLET ESPAÑOL also colaborate with pianist Manolo Carrasco in presenting his show "pianissimo" creating and performing some choreographies. Currently ENTREDOS BALLET ESPAÑOL continue presenting to the audience “LAS MOIRAS” and "SILENCIOS ROTOS" and preparing new projects for 2016.